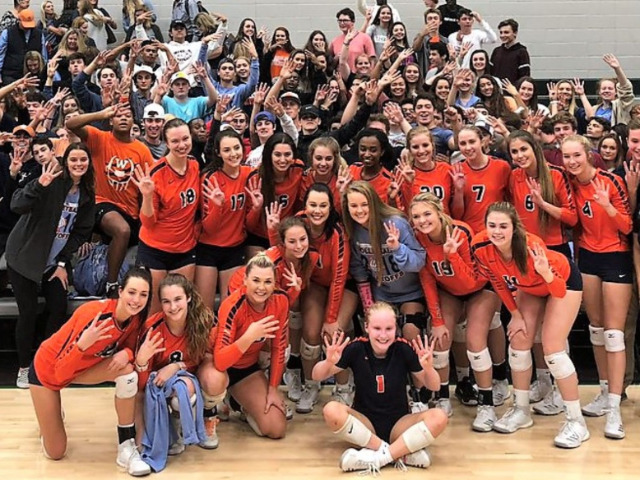 The Wakeland volleyball team advanced to the 5A Region II Tournament on Tuesday night with a victory over Reedy. In front of a packed gymnasium at Lebanon Trail, Wakeland defeated Reedy in four games: 25-20, 25-18, 23-25, 25-18. Wakeland will be the only FISD team in the regional tourney because Liberty lost in its showdown with powerhouse Lovejoy. Liberty lost to Lovejoy in four games: 25-14, 23-25, 25-15, 25-21. Wakeland will next play Texarkana Texas High School on Friday at the regional tourney at Richardson Berkner High School. The match will be at 5 p.m.